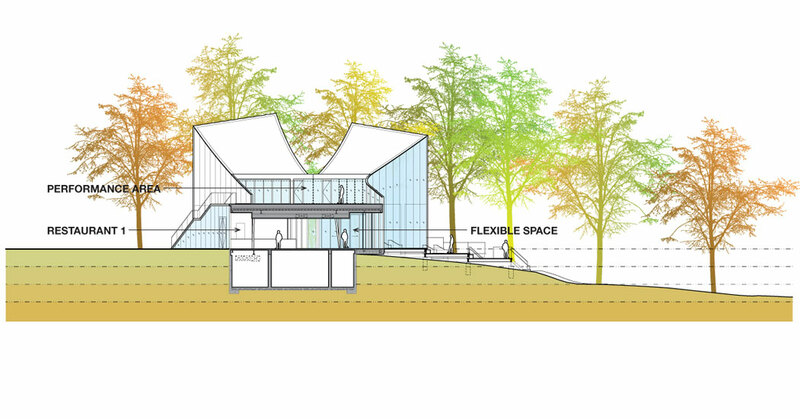 Located in Columbia Maryland, The Butterfly consists of concessions, an art gallery, and an occupiable roof deck with spaces for performances and spectators in Symphony Woods Park (to be renamed Merriweather Park). 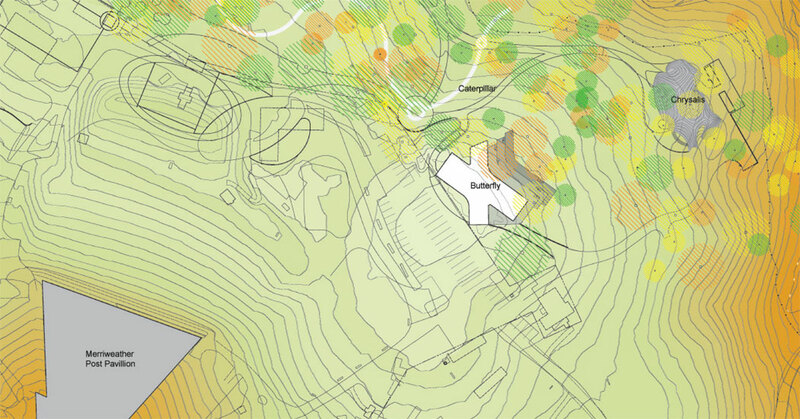 This building is part of the Inner Arbor Plan, which also includes a new amphitheater and landscape. 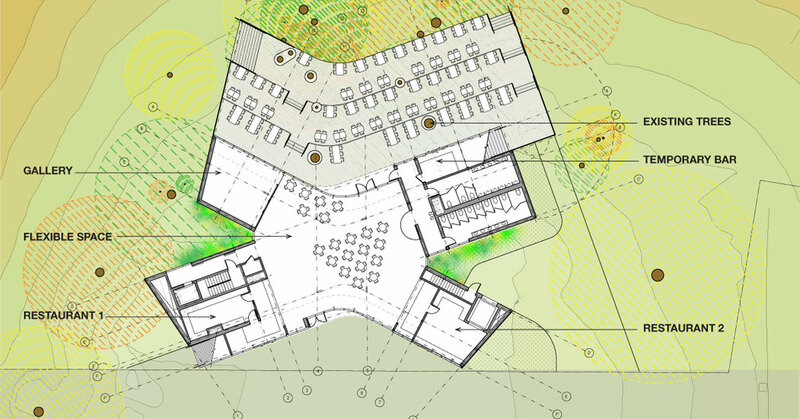 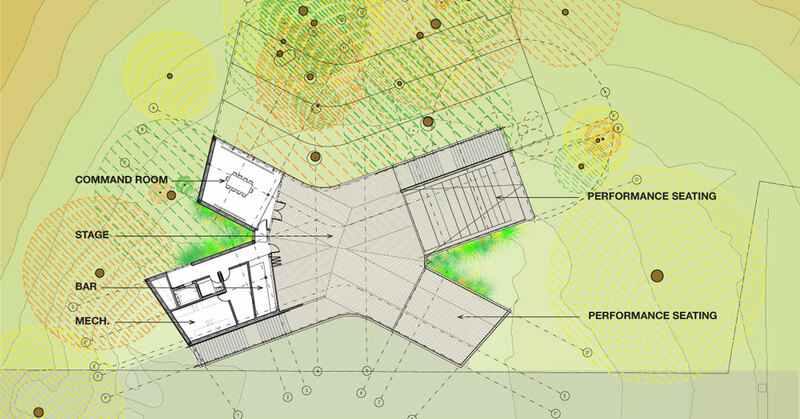 The building, named The Butterfly by the client, immerses the visitor into the forest, framing the existing trees and raising visitors into the tree canopy via a roof deck. 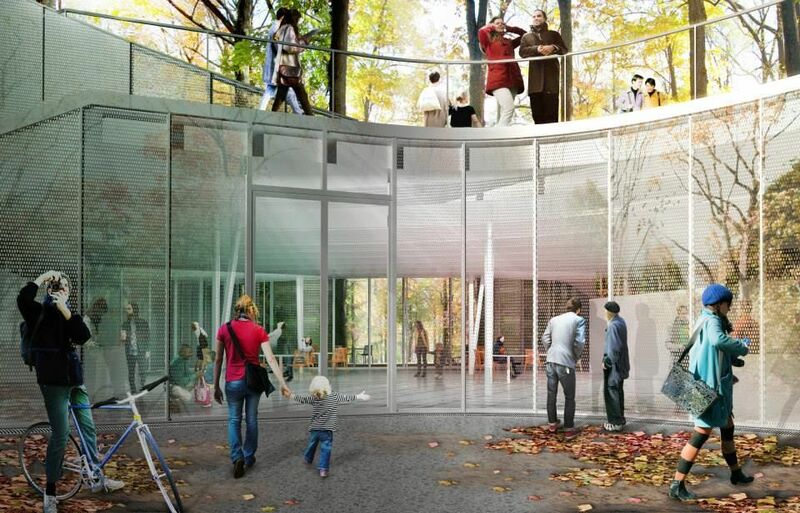 The facade materials optimize the relationship to the trees with varying opacities of glass that frame views out and through the building. 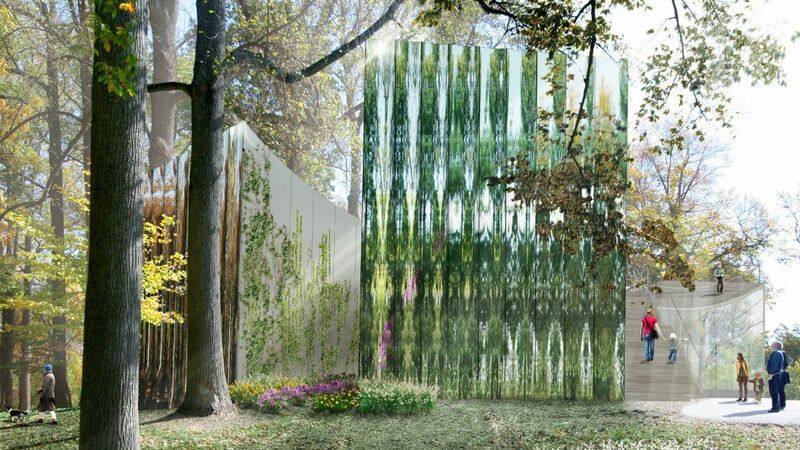 Mirrored panels multiply the landscape onto the facade, reflecting and distorting the beauty of the forest. 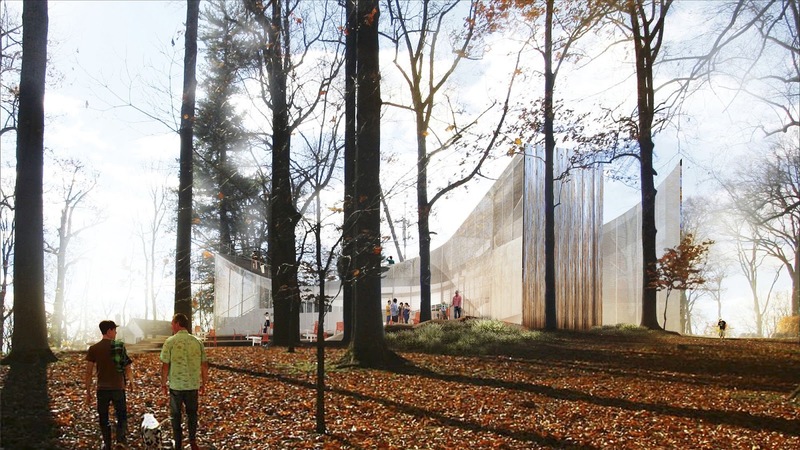 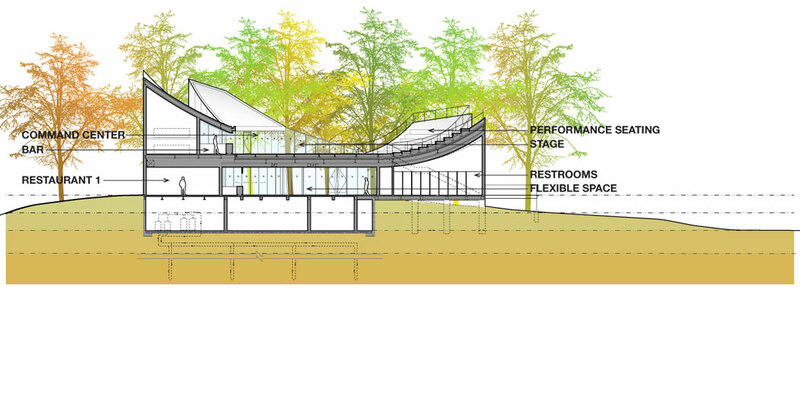 The concessions, gallery and restrooms at the ground level are located along the perimeter of the building, leaving a light, open central space that connects the Merriweather post-pavilion to the new Chrysalis amphitheater both visually and physically. 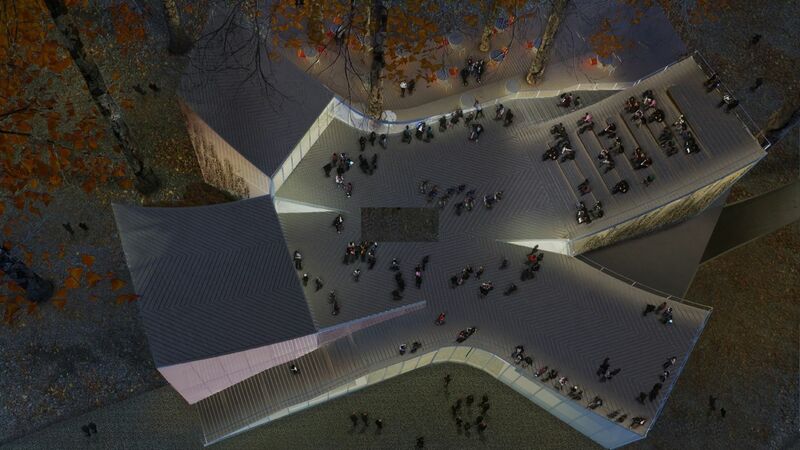 The floating roof above is a public deck with a bar, stepped seating, and views to both performance spaces.